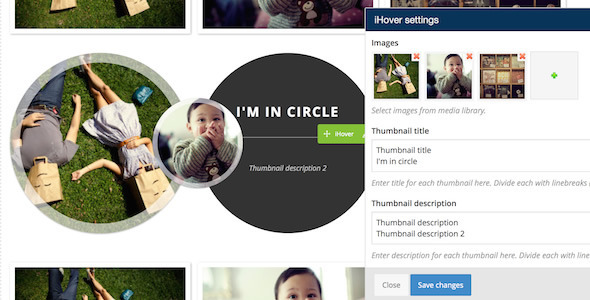 iHover is free 30+ impressive hover effects collection, powered by pure CSS3, no dependency, work well with Bootstrap 3! Is built with Scss CSS (file included), easy modification with variables. In case you need just few effects, then you don’t need to include the entire file, because the code is modular. Select the code you need and feel free to use it in any kind of web design projects, for personal use or even commercial. Even is work well with Bootstrap 3, the framework is not necessary though. 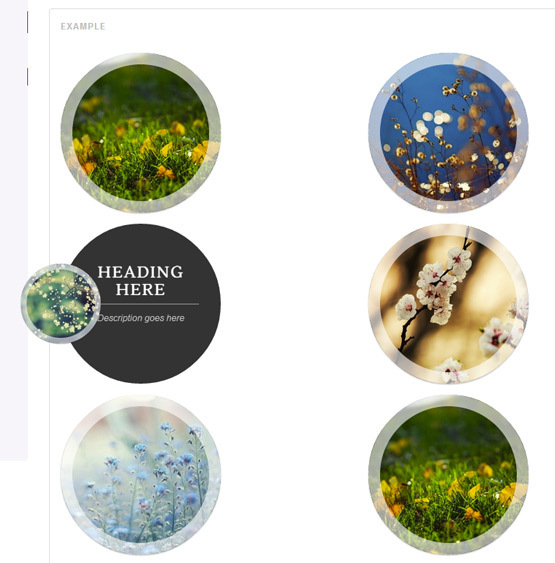 This visual composer ihover extension adds 20 circle & 15 square CSS3 transitions of hover thumbnail to Visual Composer plugin. 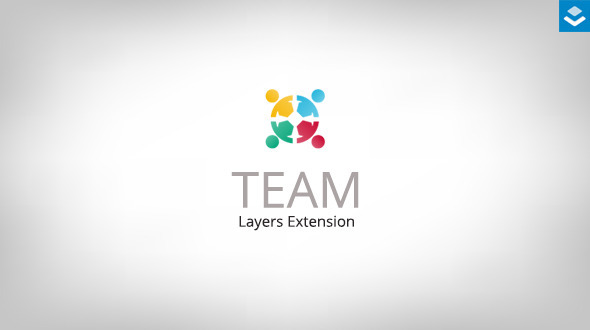 Most of the transitions have 4 type of directions, thumbnail support lightbox or custom link, give user a lot of flexibility to add a grid gallery. This ihover extension features, unlimited icons colours, unlimited hover colours, over 100 hover effects and combinations, 40 available demo widgets, supports for parallax background, fontawesome icons, 12 grid responsive layout support, social media support and many more.. 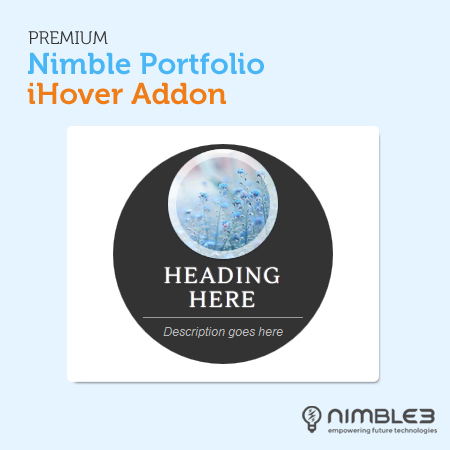 This a premium skin for the Nimble portfolio wordpress plugin. 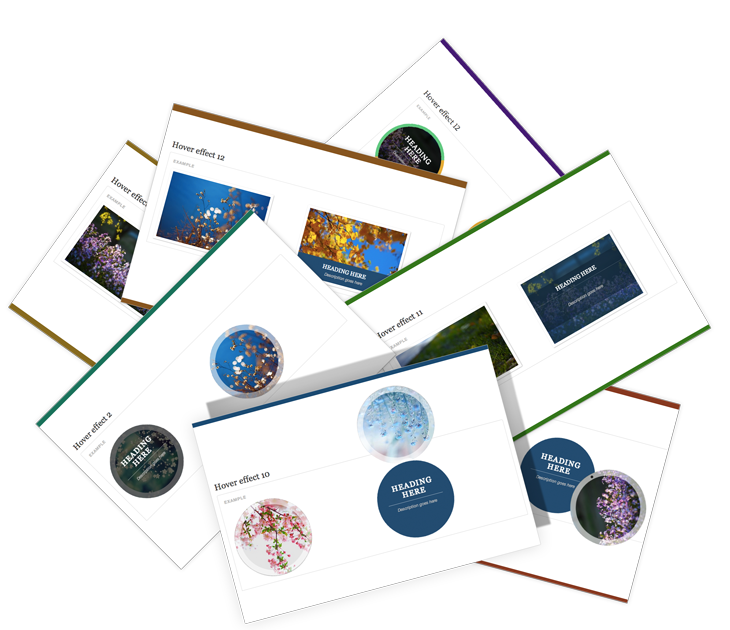 It adds enhanced portfolio and hover effects to your wordpress portfolio items. It comes with different prebuilt properties. This wordpress plugin features 20+ hover effects, custom post support, category support, shortcode generator, cross browser compatible, easy to use option panel, pure CSS3 effects and transitions, responsive, over 600 google fonts, custom thumbnails and many more.. Please suggest any more plugins you have found working online that makes use of the ihover effect and I will add it to the listing.